Title: 'Asia recens summa cura delineata. Auct. Henr. Hondio'. 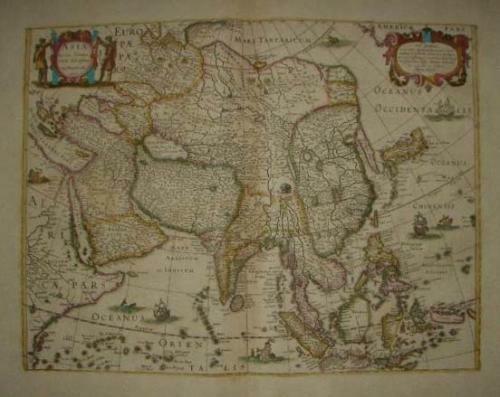 Henricus Hondius' fine and decorative map of the Continent of Asia depicting a refined Japan & Korea, issued in editions of the Hondius & Janssonius Atlases. In very good condition with minor toning.